well due to the diarrhoea last night, my Sister-in-law who's a paediatrician has recommended staying off the formula today, and only having breast milk, dioralyte and maybe toast. May also try banana later. Aaron's in a good mood, just doesn't have his normal energy. I will keep editing the below as the day goes on. explosive diarrhoea last night that came out of his nappy 10 p.m.
Asleep by 11 p.m. in cot. Woke in cot at 5 a.m.
Breastfed back to sleep in our bed. 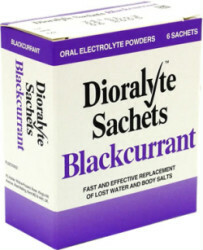 9:15 a.m. drank 60 ml of dioralyte. 10 a.m. drank 30 ml of dioralyte. 10:15 a.m. breastfeeding while sleeping on Mum. 11:15 to 12:15 drinks a whole 200 ml of dioralyte - staggered. 1:15 p.m. eats a quarter of a slice of dry brown toast. 1:45 p.m. eats 3 teaspoons of cooked rice with organix baby food on for some sauce. 2:00 p.m. drinks 20 ml of diluted blackcurrant cordial (free of aspartame!). THE INCREASE IN ENERGY AFTER THE ABOVE IS REMARKABLE - crawls for ten minutes. Breastfeed him frequently all afternoon. 5:20 p.m. eats half a banana in accordance with the BRAT diet. 6 p.m. until 6:30 p.m. Eats bits of brown bread and bits of brown toast and plays with it really cheerfully in his highchair. 8:30 to 9:30 p.m. drank 140 ml of dioralyte. 10:30 p.m. ate three apple Organix rice crackers. 11 p.m. am about to breastfeed him to sleep and put him to bed.